Want to change South Africa and make a real impact? Statistics show that the best reward for giving comes from investing in Early Childhood Development (ECD). As well as giving children the mental stimulation and development needed to lay a solid foundation for their later school years, it also furthers social inclusion for parents – especially moms, who are freed up to seek employment. One of the biggest problems faced in South Africa is that while there are many ECD centres or crèches, a recent audit by the Department of Social Development found that 70% of ECD centres are unsuited to providing ECD services. 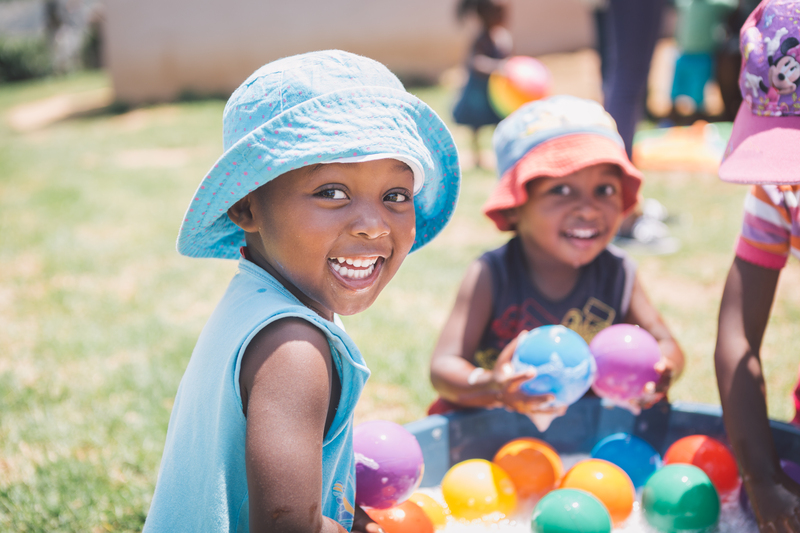 While many of these ECD centres are doing the best they can with extremely limited resources, the fact remains that those organisations doing good work in this sector need all the support they can get. We’re excited to be partnering with Save the Children to fund infrastructural additions and upgrades to the Sizolompakathi ECD Centre in Tjakastad, Mpumalanga, which serves around 150 children from the community. Click here to help improve Sizolompakathi ECD Centre. 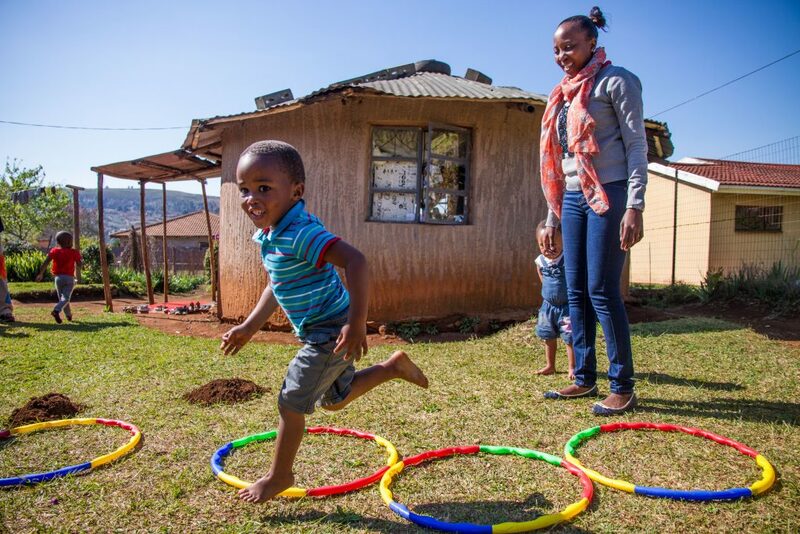 Another NGO partnership in the ECD space that we really appreciate being part of is iThemba Projects, and their Asidlale (let’s play, in isiZulu) project. This project entails the mentoring of five ECD Centres in Sweetwaters in the Umgungundlovu District Municipality, KwaZulu-Natal. This has a direct effect on the quality of ECD education at ECD centres throughout Sweetwaters. Click here to improve the quality of ECD education in Sweetwaters. While best-case scenario is that everyone has access to clean, running water, the reality is that many in South Africa do not. In ECD centres in a few areas of the country, teachers have less teaching time because they have the time-consuming, labour-intensive responsibility of collecting water for their children – every day. JAM SA, in partnership with Hippo Roller, is raising funds for Hippo Rollers to distribute to 20 ECD Centres in and around Mabopane and Rustenburg in the North West province. Hippo Rollers are portable, hygienic water collection barrels that significantly reduce the heavy labour required to collect water, and these will free up teachers to spend more time with the children. Click here to support this project. We’re also partnering with Zero2Five Trust, which is running a project to raise funds to provide 1200 children at Early Childhood Development (ECD) Centres in the uMgungundlovu District in KwaZulu-Natal with a nutritious meal, every school day, for a period of 11 weeks. In addition, the Zero2Five Trust is partnering with WILDTRUST to provide indoor and outdoor furniture manufactured from recycled plastic, for the same ECD Centres. Click here to support this project.